Catherine de' Medici (Italian: Caterina de Medici, pronounced [kateˈriːna de ˈmɛːditʃi]; French: Catherine de Médicis, pronounced [katʁin də medisis]; 13 April 1519 – 5 January 1589), daughter of Lorenzo II de' Medici and Madeleine de La Tour d'Auvergne, was an Italian noblewoman who was queen of France from 1547 until 1559, by marriage to King Henry II. As the mother of kings Francis II, Charles IX and Henry III, she had extensive, if at times varying, influence in the political life of France. From 1560 to 1563, she ruled France as regent for her son Charles IX, King of France. In 1533, at the age of fourteen, Catherine married Henry, second son of King Francis I and Queen Claude of France. Throughout his reign, Henry excluded Catherine from participating in state affairs and instead showered favors on his chief mistress, Diane de Poitiers, who wielded much influence over him. Henry's death thrust Catherine into the political arena as mother of the frail fifteen-year-old King Francis II. When he died in 1560, she became regent on behalf of her ten-year-old son King Charles IX and was granted sweeping powers. After Charles died in 1574, Catherine played a key role in the reign of her third son, Henry III. He dispensed with her advice only in the last months of her life (he would outlive her by seven months). Catherine's three sons reigned in an age of almost constant civil and religious war in France. The problems facing the monarchy were complex and daunting but Catherine was able to keep the monarchy and the state institutions functioning even at a minimum level. At first, Catherine compromised and made concessions to the rebelling Calvinist Protestants, or Huguenots, as they became known. She failed, however, to grasp the theological issues that drove their movement. Later she resorted, in frustration and anger, to hard-line policies against them. In return, she came to be blamed for the excessive persecutions carried out under her sons' rule, in particular for the St. Bartholomew's Day massacre of 1572, in which thousands of Huguenots were killed in Paris and throughout France. Some historians have excused Catherine from blame for the worst decisions of the crown, though evidence for her ruthlessness can be found in her letters. In practice, her authority was always limited by the effects of the civil wars. Her policies, therefore, may be seen as desperate measures to keep the Valois monarchy on the throne at all costs, and her patronage of the arts as an attempt to glorify a monarchy whose prestige was in steep decline. Without Catherine, it is unlikely that her sons would have remained in power. The years during which they reigned have been called "the age of Catherine de' Medici". According to Mark Strage, one of her biographers, Catherine was the most powerful woman in sixteenth-century Europe. Catherine de' Medici was born on 13 April 1519 in Florence, Republic of Florence, the only child of Lorenzo de' Medici, Duke of Urbino, and his wife, Madeleine de la Tour d'Auvergne, the countess of Boulogne. The young couple had been married the year before at Amboise as part of the alliance between King Francis I of France and Lorenzo's uncle Pope Leo X against the Holy Roman Emperor Maximilian I. According to a contemporary chronicler, when Catherine was born, her parents were "as pleased as if it had been a boy". 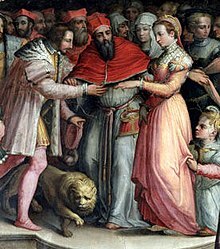 Within a month of Catherine's birth, both her parents were dead: Madeleine died on 28 April of puerperal fever or plague, and Lorenzo died on 4 May, his title over Urbino reverting to Francesco Maria I della Rovere. King Francis wanted Catherine to be raised at the French court, but Pope Leo had other plans for her. Catherine was first cared for by her paternal grandmother, Alfonsina Orsini (wife of Piero de' Medici). After Alfonsina's death in 1520, Catherine joined her cousins and was raised by her aunt, Clarice de' Medici. The death of Pope Leo in 1521 briefly interrupted Medici power until Cardinal Giulio de' Medici was elected Pope Clement VII in 1523. Clement housed Catherine in the Palazzo Medici Riccardi in Florence, where she lived in state. The Florentine people called her duchessina ("the little duchess"), in deference to her unrecognised claim to the Duchy of Urbino. 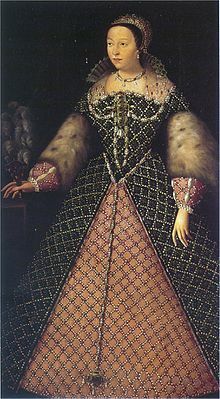 On her visit to Rome, the Venetian envoy described Catherine as "small of stature, and thin, and without delicate features, but having the protruding eyes peculiar to the Medici family". Suitors, however, lined up for her hand, including James V of Scotland who sent the Duke of Albany to Clement to conclude a marriage in April and November 1530. 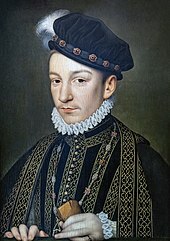 When Francis I of France proposed his second son, Henry, Duke of Orléans, in early 1533, Clement jumped at the offer. Henry was a prize catch for Catherine, who despite her wealth was of common origin. Prince Henry showed no interest in Catherine as a wife; instead, he openly took mistresses. For the first ten years of the marriage, Catherine failed to produce any children. In 1537, Philippa Duci, one of Henry's mistresses, gave birth to a daughter, whom he publicly acknowledged. This proved that Henry was fertile and added to the pressure on Catherine to produce a child. In 1536, Henry's older brother, Francis, caught a chill after a game of tennis, contracted a fever and died shortly after, leaving Henry the heir. As dauphine, Catherine was expected to provide a future heir to the throne. According to the court chronicler Brantôme, "many people advised the king and the Dauphin to repudiate her, since it was necessary to continue the line of France". Divorce was discussed. In desperation, Catherine tried every known trick for getting pregnant, such as placing cow dung and ground stags' antlers on her "source of life", and drinking mule's urine. On 19 January 1544, she at last gave birth to a son, named after King Francis. After becoming pregnant once, Catherine had no trouble doing so again. She may have owed her change of fortune to the physician Jean Fernel, who had noticed slight abnormalities in the couple's sexual organs and advised them how to solve the problem. Catherine quickly conceived again and on 2 April 1545 she bore a daughter, Elisabeth. She went on to bear Henry a further eight children, six of whom survived infancy, including the future Charles IX (born 27 June 1550); the future Henry III (born 19 September 1551); and Francis, Duke of Anjou (born 18 March 1555). The long-term future of the Valois dynasty, which had ruled France since the 14th century, seemed assured. Catherine's ability to bear children, however, failed to improve her marriage. In 1534, at the age of 15, Henry had taken as his mistress the 38-year-old Diane de Poitiers, whom he adored for the rest of his life. Even so, he respected Catherine's status as his consort. When King Francis I died on 31 March 1547, Catherine became queen consort of France. She was crowned in the basilica of Saint-Denis on 10 June 1549. The imperial ambassador reported that in the presence of guests, Henry would sit on Diane's lap and play the guitar, chat about politics, or fondle her breasts. Diane never regarded Catherine as a threat. She even encouraged the king to spend more time with Catherine and sire more children. In 1556, Catherine nearly died giving birth to twin daughters, Joan and Victoria. Surgeons saved her life by breaking the legs of Joan, who died in her womb. The surviving daughter, Victoria, died seven weeks later. Catherine had no more children. On 3–4 April 1559, Henry signed the Peace of Cateau-Cambrésis with the Holy Roman Empire and England, ending a long period of Italian Wars. The treaty was sealed by the betrothal of Catherine's thirteen-year-old daughter Elisabeth to Philip II of Spain. Their proxy wedding, in Paris on 22 June 1559, was celebrated with festivities, balls, masques, and five days of jousting. King Henry took part in the jousting, sporting Diane's black-and-white colours. He defeated the dukes of Guise and Nemours, but the young Gabriel, comte de Montgomery, knocked him half out of the saddle. Henry insisted on riding against Montgomery again, and this time, Montgomery's lance shattered in the king's face. Henry reeled out of the clash, his face pouring blood, with splinters "of a good bigness" sticking out of his eye and head. Catherine, Diane, and Prince Francis all fainted. Henry was carried to the Château de Tournelles, where five splinters of wood were extracted from his head, one of which had pierced his eye and brain. Catherine stayed by his bedside, but Diane kept away, "for fear", in the words of a chronicler, "of being expelled by the Queen". For the next ten days, Henry's state fluctuated. At times he even felt well enough to dictate letters and listen to music. Slowly, however, he lost his sight, speech, and reason, and on 10 July 1559 he died, aged 40. From that day, Catherine took a broken lance as her emblem, inscribed with the words "lacrymae hinc, hinc dolor" ("from this come my tears and my pain"), and wore black mourning in memory of Henry. The Guise brothers set about persecuting the Protestants with zeal. Catherine adopted a moderate stance and spoke against the Guise persecutions, though she had no particular sympathy for the Huguenots, whose beliefs she never shared. The Protestants looked for leadership first to Antoine de Bourbon, King of Navarre, the First Prince of the Blood, and then, with more success, to his brother, Louis de Bourbon, Prince of Condé, who backed a plot to overthrow the Guises by force. When the Guises heard of the plot, they moved the court to the fortified Château of Amboise. The Duke of Guise launched an attack into the woods around the château. His troops surprised the rebels and killed many of them on the spot, including the commander, La Renaudie. Others they drowned in the river or strung up around the battlements while Catherine and the court watched. On 17 August 1563, Charles IX was declared of age at the Parlement of Rouen, but he was never able to rule on his own and showed little interest in government. Catherine decided to launch a drive to enforce the Edict of Amboise and revive loyalty to the crown. To this end, she set out with Charles and the court on a progress around France that lasted from January 1564 until May 1565. 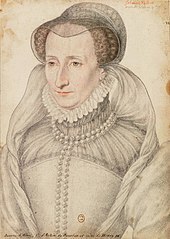 Catherine held talks with Jeanne d'Albret, the Protestant queen regnant of Navarre (and the wife of Antoine de Bourbon) at Mâcon and Nérac. She also met her daughter Elisabeth at Bayonne near the Spanish border, amidst lavish court festivities. 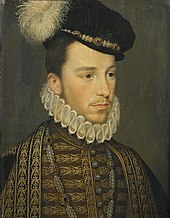 Philip II excused himself from the occasion. He sent the Duke of Alba to tell Catherine to scrap the Edict of Amboise and to find punitive solutions to the problem of heresy. In 1566, through the ambassador to the Ottoman Empire, Guillaume de Grandchamp de Grantrie, and because of a long-standing Franco-Ottoman alliance, Charles and Catherine proposed to the Ottoman Court a plan to resettle French Huguenots and French and German Lutherans in Ottoman-controlled Moldavia, in order to create a military colony and a buffer against the Habsburg. This plan also had the added advantage of removing the Huguenots from France, but it failed to interest the Ottomans. 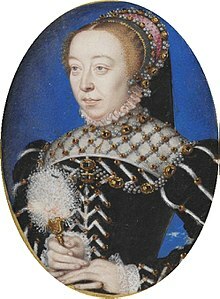 Catherine looked to further Valois interests by grand dynastic marriages. In 1570, Charles IX married Elisabeth of Austria, daughter of Maximilian II, Holy Roman Emperor. Catherine was also eager for a match between one of her two youngest sons and Elizabeth I of England. After Catherine's daughter Elisabeth died in childbirth in 1568, she had touted her youngest daughter Margaret as a bride for Philip II of Spain. Now she sought a marriage between Margaret and Henry III of Navarre, Jeanne' son, with the aim of uniting Valois and Bourbon interests. Margaret, however, was secretly involved with Henry of Guise, the son of the late Duke of Guise. When Catherine found this out, she had her daughter brought from her bed. Catherine and the king then beat her, ripping her nightclothes and pulling out handfuls of her hair. Catherine pressed Jeanne d'Albret to attend court. Writing that she wanted to see Jeanne's children, she promised not to harm them. Jeanne replied: "Pardon me if, reading that, I want to laugh, because you want to relieve me of a fear that I've never had. I've never thought that, as they say, you eat little children". When Jeanne did come to court, Catherine pressured her hard, playing on Jeanne's hopes for her beloved son. Jeanne finally agreed to the marriage between her son and Margaret, so long as Henry could remain a Huguenot. When Jeanne arrived in Paris to buy clothes for the wedding, she was taken ill and died on 9 June 1572, aged forty-three. Huguenot writers later accused Catherine of murdering her with poisoned gloves. The wedding took place on 18 August 1572 at Notre-Dame, Paris. The St. Bartholomew's Day massacre, which began two days later, has stained Catherine's reputation ever since. There is reason to believe she was party to the decision when on 23 August Charles IX is said to have ordered, "Then kill them all! Kill them all!" Historians have suggested that Catherine and her advisers expected a Huguenot uprising to avenge the attack on Coligny. They chose therefore to strike first and wipe out the Huguenot leaders while they were still in Paris after the wedding. Henry was Catherine's favourite son. Unlike his brothers, he came to the throne as a grown man. He was also healthier, though he suffered from weak lungs and constant fatigue. His interest in the tasks of government, however, proved fitful. He depended on Catherine and her team of secretaries until the last few weeks of her life. He often hid from state affairs, immersing himself in acts of piety, such as pilgrimages and flagellation. An inventory drawn up at the Hôtel de la Reine after Catherine's death shows her to have been a keen collector. Listed works of art included tapestries, hand-drawn maps, sculptures, rich fabrics, ebony furniture inlaid with ivory, sets of china, and Limoges pottery. There were also hundreds of portraits, for which a vogue had developed during Catherine's lifetime. Many portraits in her collection were by Jean Clouet (1480–1541) and his son François Clouet (c. 1510 – 1572). François Clouet drew and painted portraits of all Catherine's family and of many members of the court. After Catherine's death, a decline in the quality of French portraiture set in. By 1610, the school patronised by the late Valois court and brought to its pinnacle by François Clouet had all but died out. Beyond portraiture, little is known about the painting at Catherine de' Medici's court. In the last two decades of her life, only two painters stand out as recognisable personalities: Jean Cousin the Younger (c. 1522 – c. 1594), few of whose works survive, and Antoine Caron (c. 1521 – 1599), who became Catherine's official painter after working at Fontainebleau under Primaticcio. Caron's vivid Mannerism, with its love of ceremonial and its preoccupation with massacres, reflects the neurotic atmosphere of the French court during the Wars of Religion. Catherine de' Medici's great love among the arts was architecture. "As the daughter of the Medici," suggests French art historian Jean-Pierre Babelon, "she was driven by a passion to build and a desire to leave great achievements behind her when she died." After Henry II's death, Catherine set out to immortalise her husband's memory and to enhance the grandeur of the Valois monarchy through a series of costly building projects. These included work on châteaux at Montceaux-en-Brie, Saint-Maur-des-Fossés, and Chenonceau. Catherine built two new palaces in Paris: the Tuileries and the Hôtel de la Reine. She was closely involved in the planning and supervising of all her architectural schemes. Catherine had emblems of her love and grief carved into the stonework of her buildings. Poets lauded her as the new Artemisia, after Artemisia II of Caria, who built the Mausoleum at Halicarnassus as a tomb for her dead husband. As the centrepiece of an ambitious new chapel, she commissioned a magnificent tomb for Henry at the basilica of Saint Denis. It was designed by Francesco Primaticcio (1504–1570), with sculpture by Germain Pilon (1528–1590). Art historian Henri Zerner has called this monument "the last and most brilliant of the royal tombs of the Renaissance." Catherine also commissioned Germain Pilon to carve the marble sculpture that contains Henry II's heart. A poem by Ronsard, engraved on its base, tells the reader not to wonder that so small a vase can hold so large a heart, since Henry's real heart resides in Catherine's breast. The legend that de' Medici introduced a long list of foods, techniques and utensils from Italy to France for the first time is a myth routinely discredited by most food historians. Items whose introduction to France have been attributed to Catherine include the dinner fork, parsley, the artichoke, lettuce, broccoli, the garden pea, pasta, Parmesan, as well as the turkey and tomato of the New World. She has also received credit for introducing sauces and a variety of dishes such as duck à l’orange and deviled eggs. Barbara Ketcham Wheaton and Stephen Mennell provided the definitive arguments against these claims. They point out that Catherine's father-in-law, King Francis I, and the flower of the French aristocracy had dined at some of Italy's most élite tables during the king's Italian campaigns (and that an earlier generation had done so during King Charles VIII’s invasion of 1494); that a vast Italian entourage had visited France for the wedding of Catherine de’ Medici's father to her French-born mother; and that she had little influence at court until her husband's death because he was so besotted by his mistress, Diane de Poitiers. In fact, a large population of Italians—bankers, silk-weavers, philosophers, musicians, and artists, including Leonardo da Vinci—had emigrated to France to promote the burgeoning Renaissance. Nevertheless, popular culture frequently attributes Italian culinary influence and forks in France to Catherine. The earliest known reference to Catherine as the popularizer of Italian culinary innovation is the entry for "cuisine" in Diderot and d’Alembert’s Encyclopédie published in 1754, which describes haute cuisine as decadent and effeminate and explains that fussy sauces and fancy fricassees arrived in France via "that crowd of corrupt Italians who served at the court of Catherine de’ Medici." Catherine de' Medici has been labelled a "sinister Queen… noted for her interest in the occult arts". To some, Catherine and Henry's inability to produce an heir for the first ten years of their marriage gave rise to suspicion of witchcraft. Labouvie suggested that women's power was believed to be the ability to create and sustain life, whilst witches were believed to have the opposite power; that of attacking health, life and fertility. An infertile woman, and in particular an infertile queen, was therefore regarded as 'unnatural' and a small step from supernatural. Elizabeth I was treated with similar suspicion—she too entertained questionable characters (such as her advisor, John Dee), and produced no official heir. Essentially, however, there exists no concrete proof that either woman took part in the occult, and it is now believed that Catherine's trouble in providing an heir was in fact due to Henry II's penile deformity. Suspicion was fuelled to some degree by her entertainment of questionable characters at court—for example, the reputed seer Nostradamus, who was rumoured to have created a talisman for Catherine, made from a mixture of metals, goat blood and human blood. Catherine also gave patronage to the Ruggeri brothers, who were renowned astrologers, but were also known for their involvement in necromancy and the black arts. Cosimo Ruggeri, in particular, was believed to be Catherine's own "trusted necromancer, and specialist in the dark arts", although there is not a great deal of surviving documentation to tell of his life. Though some suggest that they were simply magicians, for many living in Italy at the time, the distinction between 'magician' and 'witch' was unclear. Entertaining individuals that appeared to subvert the natural religious order during the most intense period of witch hunting and a time of great religious conflict was therefore an easy way to arouse suspicion. Catherine herself had been educated in astrology and astronomy. Though these were largely considered respectable subjects, Catherine's biographer Leonie Frieda believes that it was her fascination with these subjects that has earned her the reputation history and her peers accorded her. Indeed, it has been suggested that Catherine educated her son, Henry III, in the dark arts, and that "the two devoted themselves to sorceries that were scandals of the age". As a result, some (more extreme) authors believe Catherine to be the creator of the Black Mass, a Satanic inversion of the traditional Catholic Mass, although there is little to prove this aside from Jean Bodin's account in his book De la démonomanie des sorciers. Nevertheless, Catherine was never formally accused or prosecuted despite the fact that her reign experienced the greatest number of prosecutions for Witchcraft in Italy. This lends some weight to the suggestion that people were labelled 'witches' simply because they did not act the way a woman should (humble and grateful), or simply to suit personal agendas. This may be particularly true for Catherine as an Italian woman ruling in France; several historians argue that she was disliked by her French subjects, who labelled her "the Italian woman". In any event, the rumours have made a mark on Catherine's reputation over time, and there are now many dramaticised works about her involvement in the occult. Catherine de' Medici married Henry, Duke of Orléans, the future Henry II of France, in Marseille on 28 October 1533. She gave birth to ten children, of whom four sons and three daughters survived into adulthood. Three of her sons became kings of France, while two of her daughters married kings and one married a duke. Catherine outlived all her children except Henry III, who died seven months after her, and Margaret, who inherited her robust health. Elisabeth (2 April 1545 – 3 October 1568). 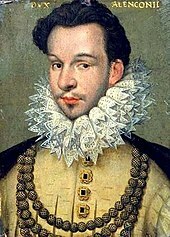 Married Philip II, King of Spain, in 1559. Hercules, Duke of Anjou (18 March 1555 – 19 June 1584), renamed Francis when he was confirmed. Joan (24 June 1556 – 24 June 1556). Twin of Victoria. Stillborn. ^ Knecht, Catherine de' Medici, 272. ^ Knecht, 272. For a summary of the fluctuations in Catherine's historical reputation, see the preface to R. J. Knecht's Catherine de' Medici, 1998: xi–xiv. ^ Sutherland, Ancien Régime, 20.; Frieda, 454–55. ^ a b Frieda, 35. ^ Goro Gheri, 15 April 1519, quoted by Frieda, 14. ^ a b Knecht, Catherine de' Medici, 8. ^ Young, The Medici: Volume II, 15. ^ Knecht, Catherine de' Medici, p. 11. ^ Knecht, Catherine de' Medici, 10–11. ^ Knecht, Catherine de' Medici, 12. ^ Frieda, 31; Knecht, Catherine de' Medici, p. 14. ^ a b Frieda, 53; Knecht, Catherine de' Medici, 16. ^ Frieda, 52. The contract was signed on the 27th and the religious ceremony took place the next day. ^ "J'ai reçu la fille toute nue." Frieda, 54. ^ Knecht, Catherine de' Medici, 29–30. Henry legitimised the child under the name Diane de France; he also produced at least two sons by other women. ^ Knecht, Catherine de' Medici, 29. ^ Frieda, 60, 95; Heritier, 38–42. ^ Giovanni Capello, quoted by Frieda, 132. ^ Morris, 247; Frieda, 80. ^ Frieda, 118; Knecht, Catherine de' Medici, 42–43. 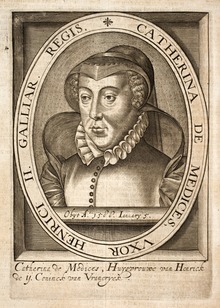 ^ Knecht, Catherine de' Medici, 38; Frieda, 94–95. ^ Knecht, Catherine de' Medici, 34; Frieda, 123. ^ Knecht, Catherine de' Medici, 55. ^ a b c Pettegree, 154. ^ Frieda, 5. As reported by eyewitness Nicholas Throckmorton, the English ambassador. ^ Knecht, Catherine de' Medici, 56–58; Frieda, 146. ^ Knecht, Catherine de' Medici, 59; Frieda, 140. ^ Knecht, Catherine de' Medici, 60. ^ a b Frieda, 144. ^ Frieda, 154; Holt, 38–39. ^ Knecht, Catherine de' Medici, 64; Holt, 44. The incident was known later as the "tumult" or conspiracy of Amboise. ^ Knecht, Renaissance France, 282. ^ Knecht, Catherine de' Medici, 65–66. ^ Sutherland, Ancien Régime, 32. ^ Frieda, 151; Knecht, 72; Guy, 119. ^ Pettegree, 154; Hoogvliet, 105. The regency was traditionally the preserve of the princes of the blood. ^ Knecht, Catherine de' Medici, 73. ^ Quoted by Frieda, 203. ^ Sutherland, Ancien Régime, 28. ^ Knecht, Catherine de' Medici, 80. ^ Knecht, Renaissance France, 311; Sutherland, Ancien Régime, 11–12. The edict, also known as the Edict of Toleration and the Edict of January, was significant for effectively recognising the existence of Protestant churches and permitting their worship outside city walls. ^ Knecht, Catherine de' Medici, 87; Frieda, 188. ^ Sutherland, Secretaries of State, 140. ^ Frieda, 191. The rebels signed the Treaty of Hampton Court with Elizabeth I of England, giving her Le Havre (to be exchanged later for Calais), in return for her support. ^ Knecht, Catherine de' Medici, 89. ^ Frieda, 192–93. His wife, Jeanne d'Albret, remained queen regnant of Navarre; and her eight-year-old son Henry became First Prince of the Blood. ^ Knecht, Catherine de' Medici, 90. 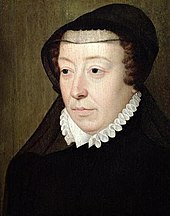 ^ Knecht, Catherine de' Medici, 91; Carroll, 126; Sutherland, Ancien Régime, 17. ^ Knecht, Catherine de' Medici, 91–92. ^ Sutherland, Ancien Régime, 15. ^ Knecht, Catherine de' Medici, 104, 107–8; Frieda, 224. ^ Frieda, 234; Sutherland, Secretaries of State, 147. ^ Frieda, 239; Knecht, Catherine de' Medici, 118. ^ Knecht, Catherine de' Medici, 120. ^ Quoted by Knecht, Catherine de' Medici, 149. ^ Knecht, Catherine de' Medici, 132. ^ Holt, 77; Frieda, 397. In 1579, François, Duke of Alençon, visited Elizabeth, who affectionately dubbed him "her frog" but, as always, proved elusive. ^ Frieda, 257; Knecht, Catherine de' Medici, 135. ^ Jeanne d'Albret wrote to her son, Henry: "I am not free to talk with either the King or Madame, only the Queen Mother, who goads me [me traite á la fourche] ... You have doubtless realized that their main object, my son, is to separate you from God, and from me". Quoted by Knecht, Catherine de' Medici, 148–49. ^ Knecht, Catherine de' Medici, 151. An autopsy revealed tuberculosis and an abscess. ^ Sutherland, Massacre of St Bartholomew, 313. ^ Frieda, 254, 304–5; Holt, 83. 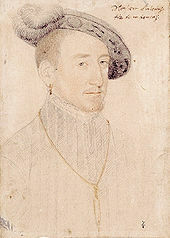 The investigators traced the house and horse to the Guises and claimed to have found evidence that the would-be killer was Charles de Louviers de Maurevert. ^ Knecht, Catherine de' Medici, 154–57. Coligny was lobbying the king to intervene against the empire in the Netherlands. • The memoirs of Marshal Tavannes, edited by his son and published around 1620 (Knecht, Catherine de' Medici, 122, 158), state that Catherine had summoned a war council in the Tuileries Gardens (so as not to be overheard) to plan the next move: "Because the attempt on the Admiral would cause a war, she, and the rest of us, agreed that it would be advisable to bring battle in Paris". It is almost certain, however, that when Charles gave the order "Kill them all! ", he meant those drawn up on a list by Catherine, and not, as has often been claimed, all Huguenots. Frieda, 266–8. ^ Quoted by Morris, 252. ^ Knecht, Catherine de' Medici, 163–64; Heller, 117; Manetsch, 60–61. The misogyny and anti-Italianism in Huguenot "histories" proved seductive not only to Protestants but to Catholics seeking a scapegoat for France's woes. ^ Knecht, Catherine de' Medici, 172. ^ Sutherland, Secretaries of State, 232, 240, 247. ^ Sutherland, Ancien Régime, 22. ^ Sutherland, Secretaries of State, 205. ^ Holt, 105–6; Knecht, Catherine de' Medici, 186; Frieda, 384–87. ^ Knecht, Catherine de' Medici, 212–13; Frieda, 406–7. ^ Knecht, Catherine de' Medici, 217. ^ Frieda, 416; Knecht, Catherine de' Medici, 254–55. ^ Knecht, Catherine de' Medici, 189; Frieda, 389. ^ Sutherland, Secretaries of State, 209; Frieda, 392. ^ Knecht, Catherine de' Medici, 200. ^ Knecht, Catherine de' Medici, 201. ^ Knecht, Catherine de' Medici, 185; Frieda, 386. ^ Sutherland, Secretaries of State, 255. ^ Knecht, Catherine de' Medici, 249; Frieda, 412. ^ Knecht, Catherine de' Medici, 251. ^ Knecht, Renaissance France, 440. ^ Knecht, Catherine de' Medici, 253. ^ Sutherland, Secretaries of State, 287. ^ Frieda, 420; Knecht, Catherine de' Medici, 257. ^ "The Day of the Barricades", as the revolt became known, "reduced the authority and prestige of the monarchy to its lowest ebb for a century and a half." Morris, 260. ^ Knecht, Catherine de' Medici, 263. ^ Henry wrote a note to Villeroy, which began: "Villeroy, I remain very well contented with your service; do not fail however to go away to your house where you will stay until I send for you; do not seek the reason for this my letter, but obey me." Sutherland, Secretaries of State, 300–3. ^ Knecht, Catherine de' Medici, 264–65. ^ Knecht, Catherine de' Medici, 266. The words were reported to the government of Florence by Catherine's doctor, Filippo Cavriana, who acted as their informant. ^ a b Knecht, Catherine de' Medici, 267. ^ Knecht, Catherine de' Medici, 268–69. ^ Knecht, Catherine de' Medici, 269. ^ Dimier, 308–19; Jollet, 17–18. ^ a b Blunt, 98. ^ Blunt calls Caron's style "perhaps the purest known type of Mannerism in its elegant form, appropriate to an exquisite but neurotic society." Blunt, 98, 100. ^ Yates, 51; Strong, 102, 121–22. ^ Frieda, 79, 455; Sutherland, Ancien Régime, 6. ^ Frieda, 266; Hoogvliet, 108. ^ Hoogvliet, 111. Ronsard may be referring to Artemisia, who drank the ashes of her dead husband, which became part of her own body. ^ Knecht, Catherine de' Medici, 244. ^ Alan Davidson (11 August 2014). The Oxford Companion to Food (2nd ed.). Oxford University Press. p. 232. ISBN 978-0-19-967733-7. ^ Barbara Ketcham Wheaton (18 January 2011). Savoring the Past: The French Kitchen and Table from 1300 to 1789. Simon and Schuster. pp. 43–51. ISBN 978-1-4391-4373-5. ^ Stephen Mennell (1996). All Manners of Food: Eating and Taste in England and France from the Middle Ages to the Present (2nd ed.). University of Illinois Press. pp. 65–66, 69–71. ISBN 978-0-252-06490-6. ^ Diderot, Denis; le Rond d'Alembert, Jean (1754). Encyclopédie, ou dictionnaire raisonné des sciences, des arts et des métiers. Paris: Briasson, David, Le Breton and Durand. p. vol. IV, p. 538. ^ Gardner, Gerald B. The Meaning of Witchcraft. p. 91. ^ a b See Rowlands, Alison (2013). Witchcraft and Gender in Early Modern Europe. Oxford. p. 9. ^ Gordetsky, Rabinowitz and O'Brien (2009). The "infertility" of Catherine de Medici and its influence on 16th century France (PDF). The Canadian Journal of Urology. ^ a b c d e Frieda, Leonie. Catherine de Medici: A Biography. ^ Herzig, Tamar (2013). Levack (ed.). Witchcraft prosecutions in Italy. Oxford. ^ Wiesner-Hanks, Merry (2012). Women and Gender in Early Modern Europe. Cambridge University Press. p. 253. ^ Gardner, Gerald. The Meaning of Witchcraft. p. 91. ^ de Givry, Grillot. Witchcraft, Magic & Alchemy. p. 121. ^ Farley, Peter R. Where Were You Before The Tree of Life? Volume 6. p. 218. ^ Gortner, C. W. "History's Black Widow: The Legend of Catherine de Medici". Wonders and Marvels. Archived from the original on 5 March 2016. Retrieved 20 February 2016. ^ Frieda, 69; Heritier, 48, has the twins' deaths the other way round. ^ a b "BOURBON". Foundation for Medieval Genealogy. 19 November 2017. Retrieved 11 April 2018. (in French) Zvereva, Alexandra. Les Clouet de Catherine de Médicis. Paris: Somogy, Éditions d'Art; Musée Condé, Château de Chantilly, 2002. ISBN 2-85056-570-9. "Catherine de' Medici" . Encyclopædia Britannica. 5 (11th ed.). 1911. pp. 528–539. "Catharine de' Medici" . New International Encyclopedia. 1905.